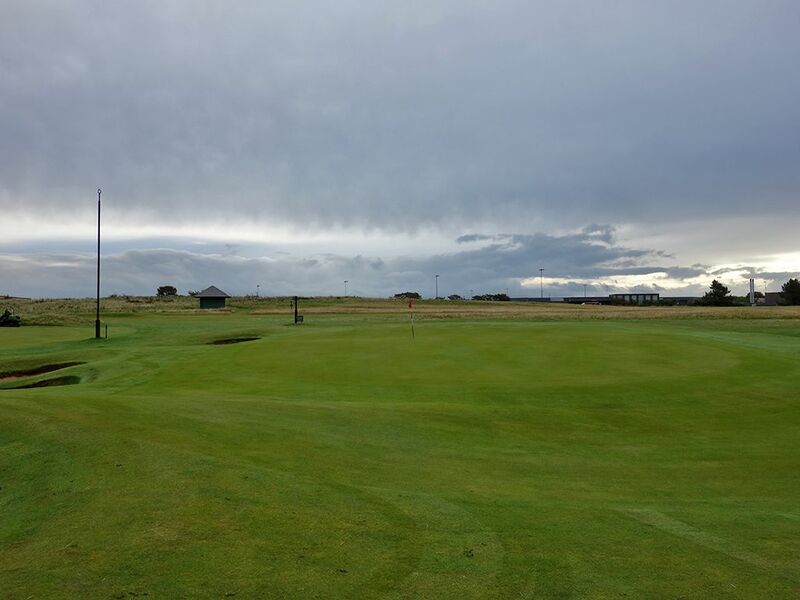 Course Website: Official Website - Visit Prestwick Golf Club's official website by clicking on the link provided. Accolades: Ranked 13th in Scotland by Golf Course Gurus. 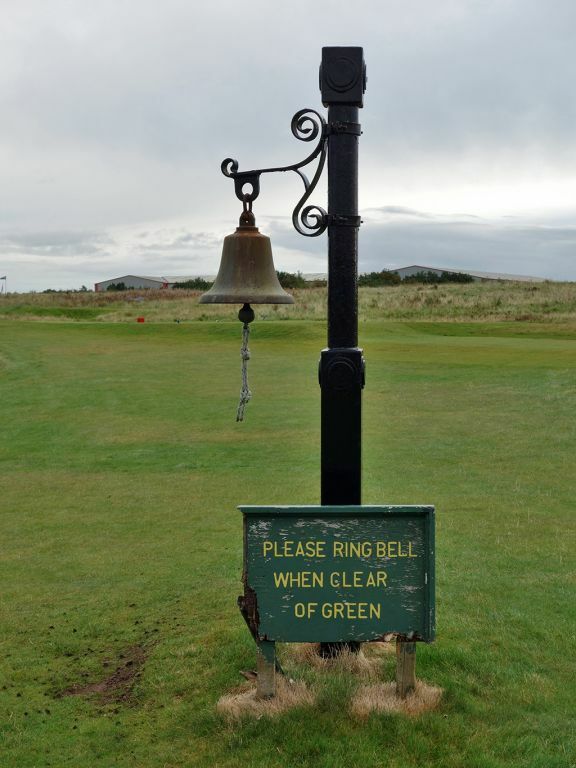 What to Expect: The original host of the British Open, Prestwick rivals any course in the world in terms of history. 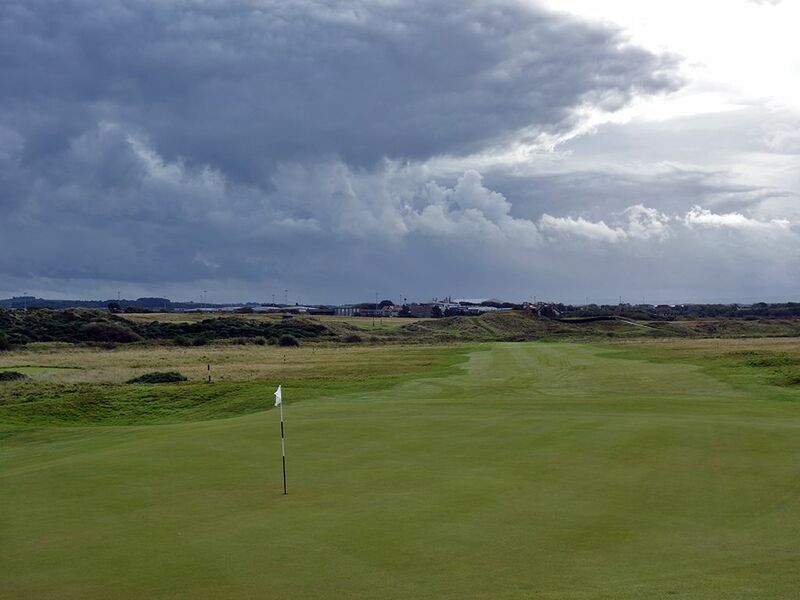 After leaving St Andrews, Old Tom Morris came to Prestwick and designed, built, and maintained the course that opened in 1851. The first British Open was then held there nine years later with Old Tom striking the first shot ever in the event and won it the following year for the first of his four Open championships. 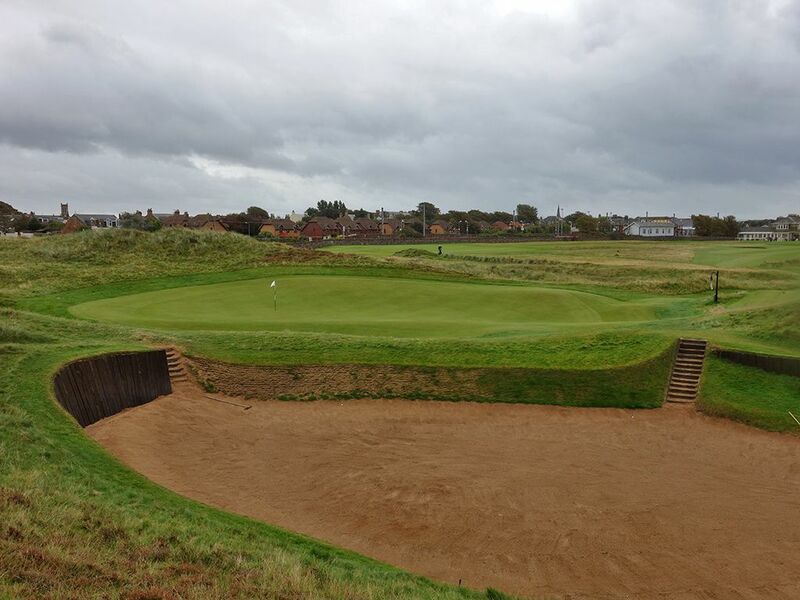 The quirks at Prestwick are plentiful with blinds shots, wild greens, treacherous bunkers, and a confounding routing. The short opening hole is one of the most unique in golf with players teeing off only a handful of paces from the large glass window of the pro shop and a speed railway framing the right side of the hole with only an old wall separating the rail from the course. 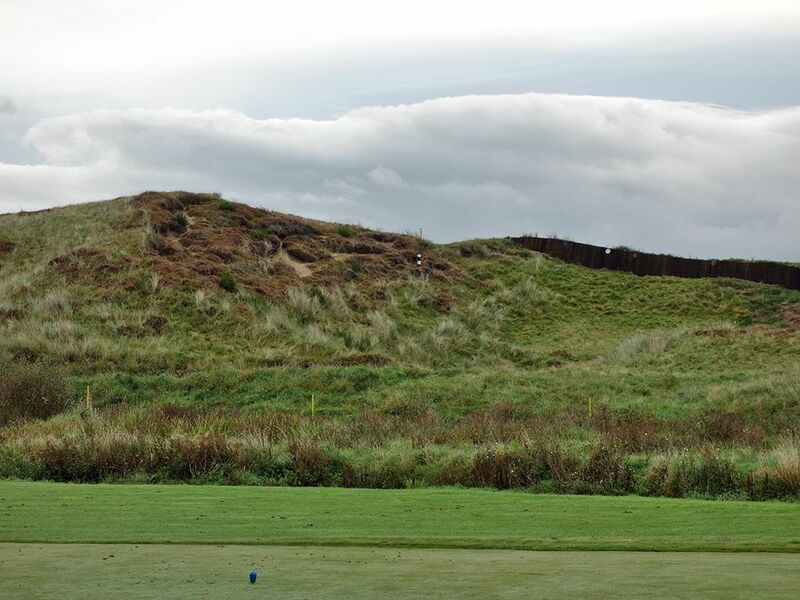 Without a driving range to warmup on, hitting driver here is highly discouraged since it brings some bunkering and dunes into play that you want nothing to do with let alone the possibility of slicing one into a train. From there on you face risk/reward opportunities on the reachable par five Cardinal hole, the blind par three 5th hole over the Himalayas dune, and on the driveable par fours featured on the closing stretch. A lot of holes have changed over the years at Prestwick with the only one staying untouched remaining its best; the original Alps hole (#17). The blind approach over the Alps dune and across the massive bunker fronting the green is simply one of the greatest shots in golf. The course sits next to the ocean but views are relatively limited with the best scenery being within the course rather than outside it. In the end, Prestwick has plenty of features that will keep you engaged throughout many, many rounds. 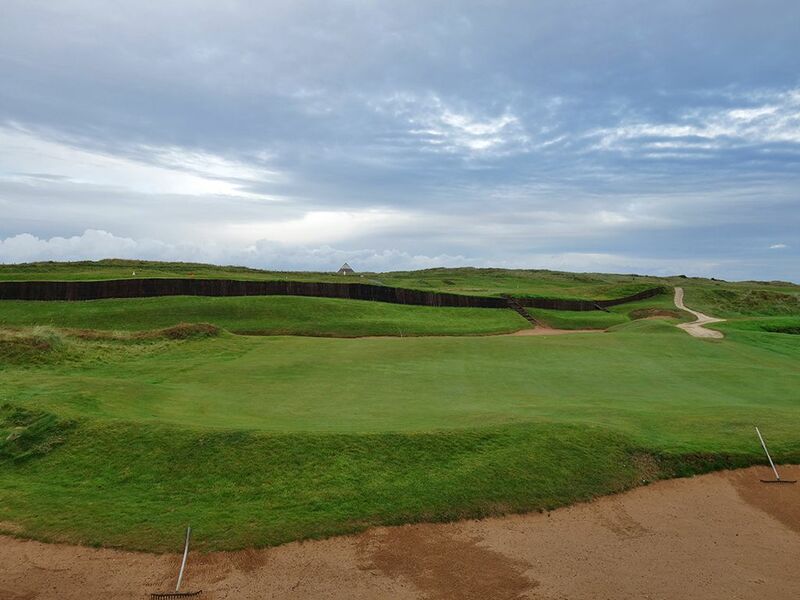 While it ranks outside of Scotland top ten courses, the lumps in the fairway, the dunes shaping the landscape, and the contours in the greens will unveil something new every loop around the course. 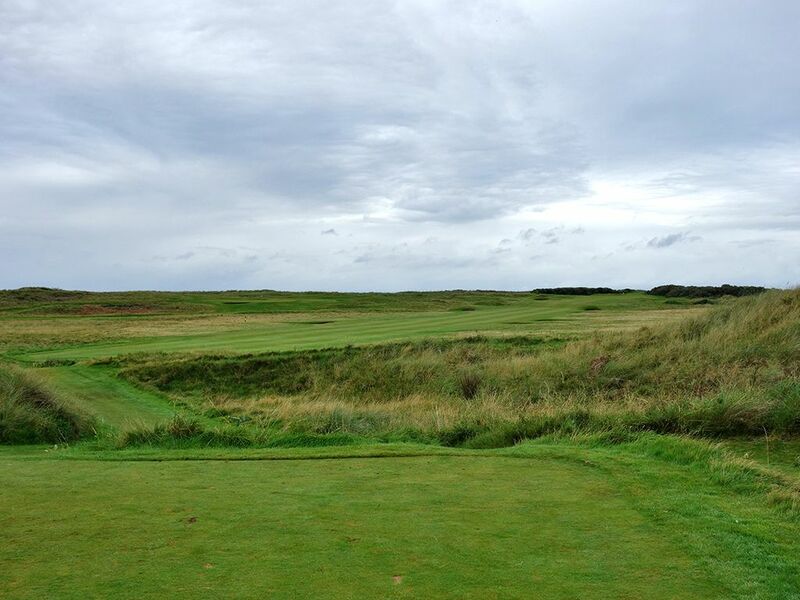 Signature Hole: 17th (Alps) Hole – 394 Yard Par 4 – The only original hole left at Prestwick and unquestionably its best. The world famous Alps hole features a narrow fairway to hit enroute to attacking the green. The second shot is blind over the Alps mound and plays to a green guarded by the devouring Sahara bunker. Many players have underestimated the length required to fly their ball all the way to the putting surface and have found themselves taking multiple strokes to get out of the desert bunker that features two sets of stairs to descend with. The back of the green is sloped in a backstop fashion to encourage golfers to play plenty of yardage and give themselves the best chance to get a green in regulation. Golf architecture geeks beware, your mind may be blown the first time you experience the original Alps hole and see why it has been duplicated so many times. As a side note, this also happens to be the oldest hole in championship golf history. 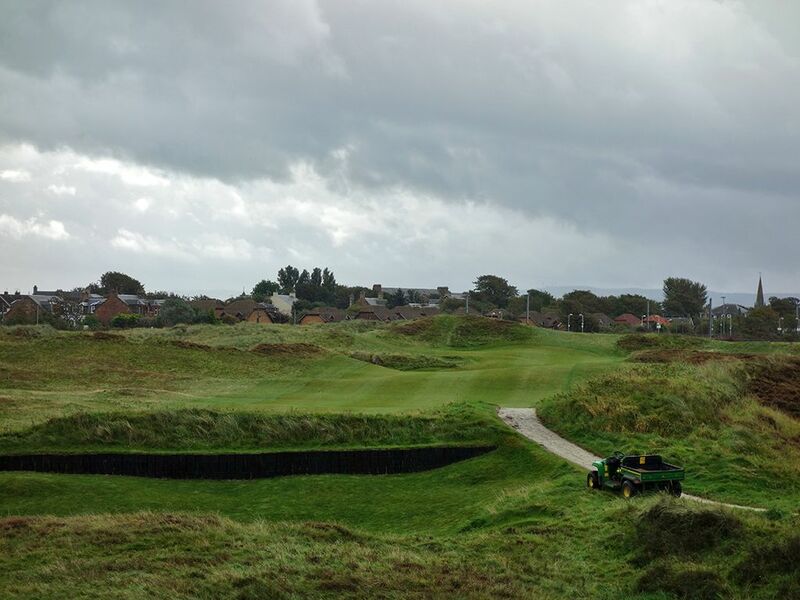 Best Par 3: 5th (Himalayas) Hole – 231 Yards – This hole is one of the reasons you'll never see Prestwick host the British Open again. In a day and age where blind shots are pretty much black balled in major championship golf, the Himalayas hole is as blind as it gets with a massive dune standing between you and the green and colored aiming discs mounted on the fence that correspond to the tee box you are playing from. While a lot of people may hate a hole like this, I love the uniqueness and anticipation a hole like this offers which how it has become so famous. Players that have a hard time lifting the ball may have a miserable experience getting over the towering Himalayas hill that is covered in thick foliage that is difficult to recover from. Once you make it over the mound you need to avoid the five bunkers framing the left side of the green along with the single sandy hole at the front right. At 231 yards from the tips this hole isn't for the faint of heart and you can hope you don't have to play it in a head wind. Best Par 4: 1st (Railway) Hole – 345 Yards – I love when an opening hole really sets the tone for the round rather than mailing it in with a forgiving, but forgettable, starter. Prestwick revels its famous quirkiness right out of the gate with this modest lengthed par four that features a wall down the entire right side which provides two purposes; to establish the out of bounds line of the hole and to offer some protection to the railway that runs parallel to it. 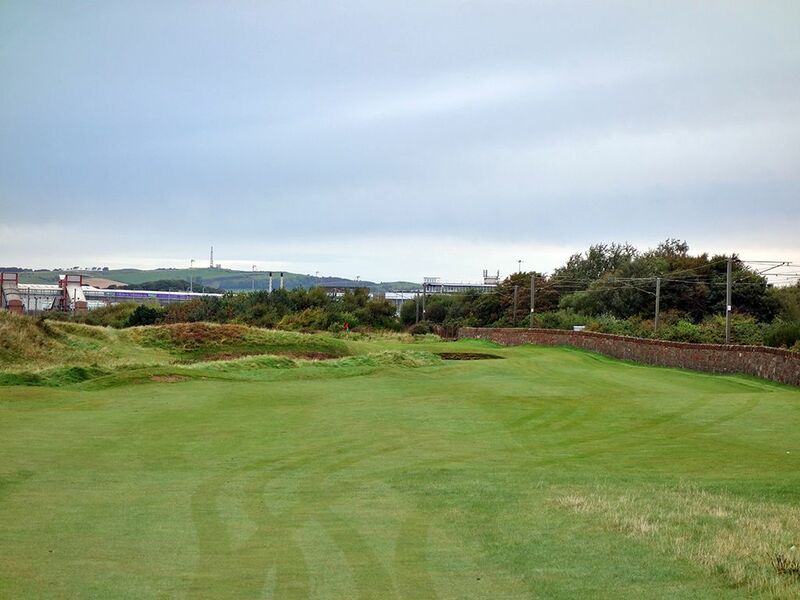 Driver isn't the recommended play as even a weak fade can find itself flirting with a train racing by and hitting it too far down the fairway can bring mounding and bunkers into play from the left side. With out of bounds and the railway continuing up the right side and next to the green, every effort needs to be made from start to finish to stay away from the right despite the bunker protecting the left side of the green. An iron off the opening tee, trains racing by along the boundary of the course, and the clubhouse nearly sitting in your backswing? Welcome to Prestwick! 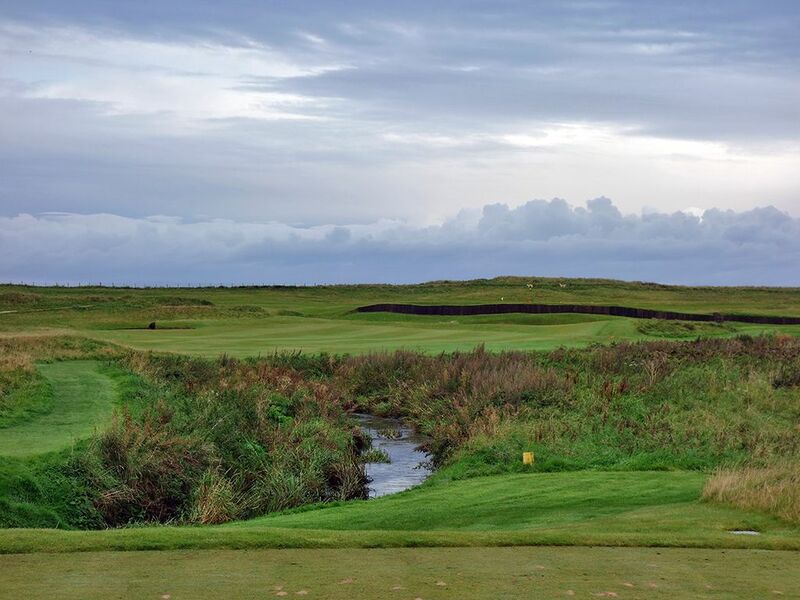 Best Par 5: 3rd (Cardinal) Hole – 533 Yards – Prestwick's first par five takes some local knowledge to conquer and offers a unique challenge to take on. The tee shot plays over Pow Burn to a fairway that terminates at a cross bunker 230 yards from the tee. Long hitters, that are also a tad foolish, may try to carry their drive 300+ yards over the famously penal Cardinal bunker that is backed by a wood wall. Some players may try to carry the 230 yard cross bunker and land their drive in the small patch of fairway between it and the Cardinal bunker, a play that requires carrying the ball 245 yards but stops before reaching 270 yards and tumbling into the Cardinal bunker. No matter what play is decided off the tee, golfers are then faced with a reachable dogleg right with Pow Burn running along the right side of the fairway. The fairway carves between the 12th and 4th tee boxes which can add some intimidation when trying to execute properly a long iron or fairway wood shot. Long iron or fairway wood off the tee, carnivorous cross bunkers in the middle of the fairway, and a burn to boot? Yep, that's the kind of character Prestwick delivers and why a caddie can be so hopeful on your loop here. 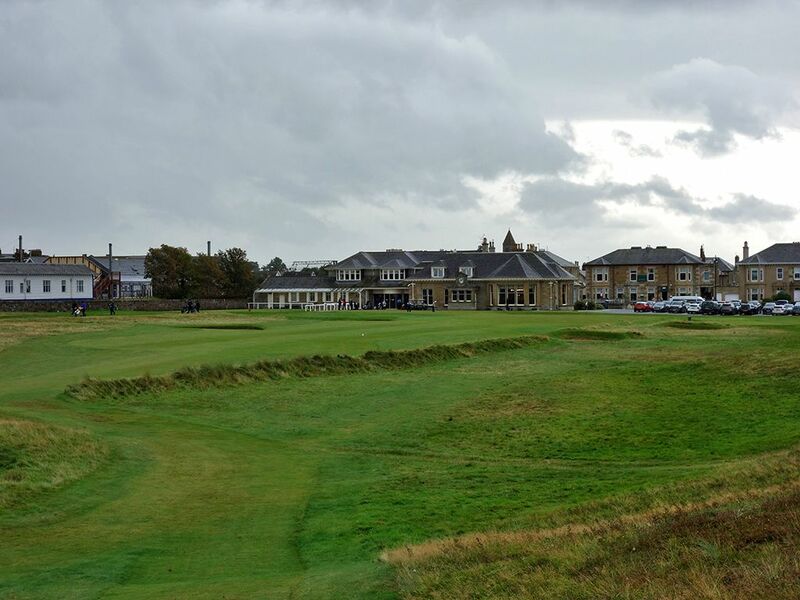 Birdie Time: 18th (Clock) Hole – 288 Yard Par 4 – In the same vein as North Berwick, Prestwick gives players a sub-300 yard par four to score well on with the home hole. Named "Clock" since the clock on the clubhouse marks the aiming point for players, this driveable par four with a large green is the perfect way for golfers to walk off the course with a smile on their face. Be careful not to flirt with the ridge on the right side of the fairway that can cause you grief on your approach shot. With players looking on from the clubhouse and on the first tee, this is the perfect time to summon your inner greatness and throw a birdie on your scorecard for your final score. 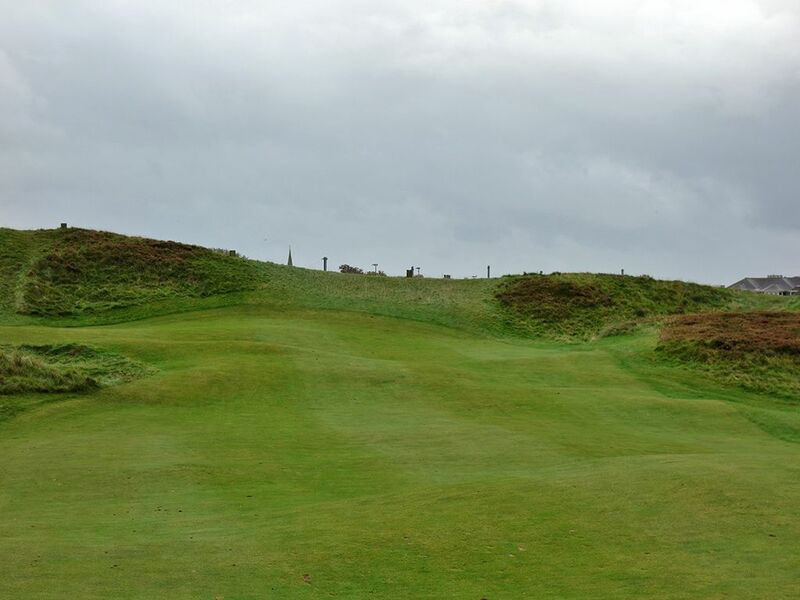 Bogey Beware: 10th (Arran) Hole – 453 Yard Par 4 – The inward nine starts with Prestwick's stiffest test with this two-shotter that not only plays long, but climbs steadily uphill the entire way to the green. Three fairway bunkers protect the driving zone and must be avoided for any chance of reaching this green in regulation. Missing this fairway brings four additional fairway bunkers into play as golfers face hacking out of the long fescue that frames the hole. The large and subtly sloped green can quickly yield a three putt or thwart an up and down effort when trying to save par. If you manage to save par here it is an impressive start to a back nine where you can score well on.